Flying is expensive, but you can cut your general aviation cost by more than 50% – 75% through shared aircraft ownership or by joining a flying club. Gaining a clearer understanding of flying cost can also help you find ways to save, which will extend your flying budget. We’re believers in the benefits of shared aircraft ownership. If you have suggestions for new content, software features or products that would help you better connect with other pilots, let us know. Connecting Aviators® is our Vision. Connect with us by clicking here. We’re also interested in GA market trends, advanced composite aircraft and Cirrus Aircraft in particular. Are you looking to transition into technically advanced high performance aircraft? The wikiWings® site documents a pilot’s journey in that transition and seeks to share practical information learned along the way. Jeff Brewer, Founder of wikiWings, Connecting Aviators® is our Vision. Blue Sky! 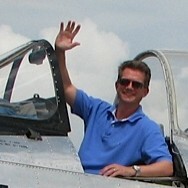 Jeff Brewer is an entrepreneur, pilot and aviation writer. He’s the Founder of wikiWings with the Vision to connect aviators and help them lower their cost of general aviation flying. He’s enjoyed flying for over 20 years and has more than 1,600 hours of flight time in single and twin-engine planes, including Cirrus Perspective™ Turbo SR22TN-G3 GTSx, Cessna 152, 172, 182, Piper Warrior, Archer, Arrow, and Aztec. He’s been a member of Aircraft Owners and Pilots Association (AOPA) since 1992, Cirrus Owners and Pilots Association (COPA) and a member in several other aircraft type clubs. His current home base is Houston, Texas. Recent visitors have more than 30,000 views on about 200 articles. We publish new content each Friday on wikiWings®. To all who are visiting and connecting I express my thanks. I appreciate the opportunity to share it forward and to be part of the general aviation experience with you. Information on this site is wikiWing’s opinion. If you need flight training, legal, financial or tax advice seek help from a professional specializing in that area.